Sherdley Park Golf Course has a brand new set of wheels. 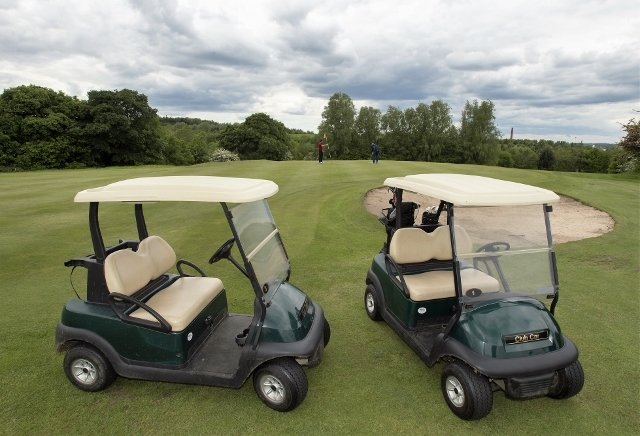 The course now has four electric golf buggies available for hire at competitive prices – from as little as £12.00 – bringing it on par with the best private courses in the region. The lean, green golf machines make navigating the undulating, 5,192 yard, par 71 course of mature parkland easier and quicker than ever, meaning there’s always time for a full 18-hole round. And with the new six holes for £6 offer, golfers with busy schedules have even more ways to slot in some quality time on the fairway, at one the North West’s premier pay-and-play golf courses. With its tree-lined fairways and strategically-placed hazards, the course provides a healthy challenge for golfers of all abilities. For full price details, memberships or to book please telephone 01744 813149 or visit www.sthelens.gov.uk/goactive. Golfers must present a valid driving license to hire the buggies.